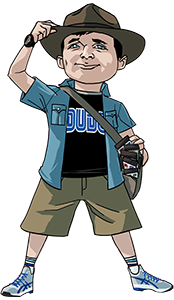 It was the year 2012 when I pledged $125 UDS to the Kickstarter campaign for Pier Solar HD for the Sega Dreamcast. 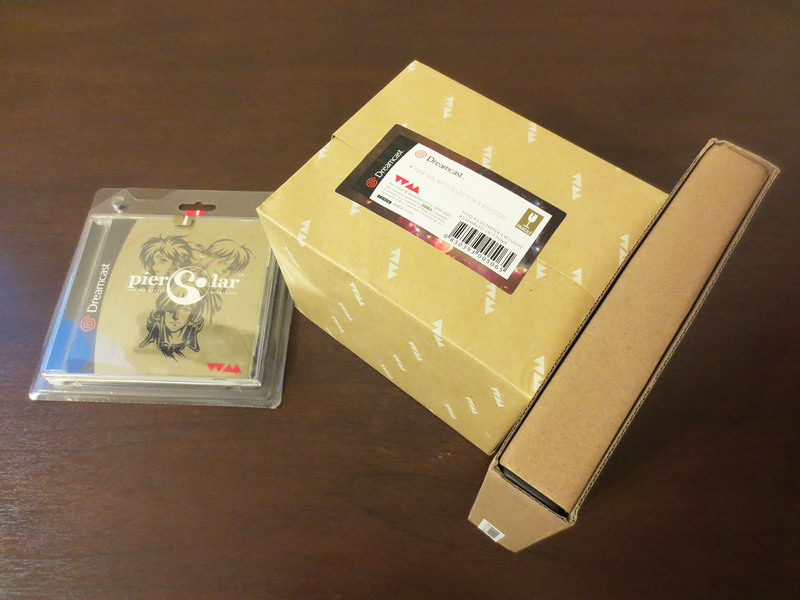 Today, just about three years later my Pier Solar Collector’s Edition has arrived. My first thought was ‘Man, this thing is heavy’. Then after opening the shipping package my first impression was a pure and unbridled ‘Wow’. 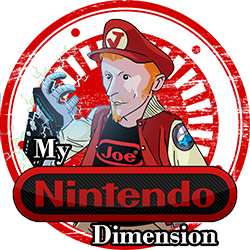 The first point I want to make is that the quality of everything I’m about to show off is amazing. 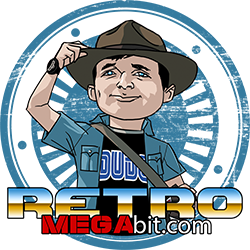 I have previously purchased Pier Solar for the Sega Genesis and it was then when I understood that the creators (Watermelon Team) value producing a very high quality product. And even now with my expectations set so high Watermelon Team managed to surprise me with this collectors edition. Below is what came out of the package that I found on my door step. 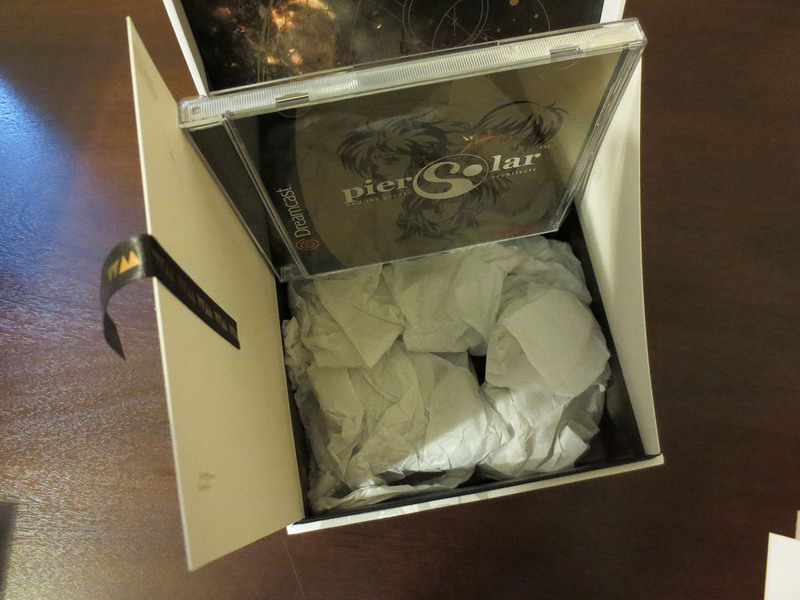 Right away I knew exactly what the jewel case was; my copy of Pier Solar HD for my Sega Dreamcast. Which is beautiful by the way. 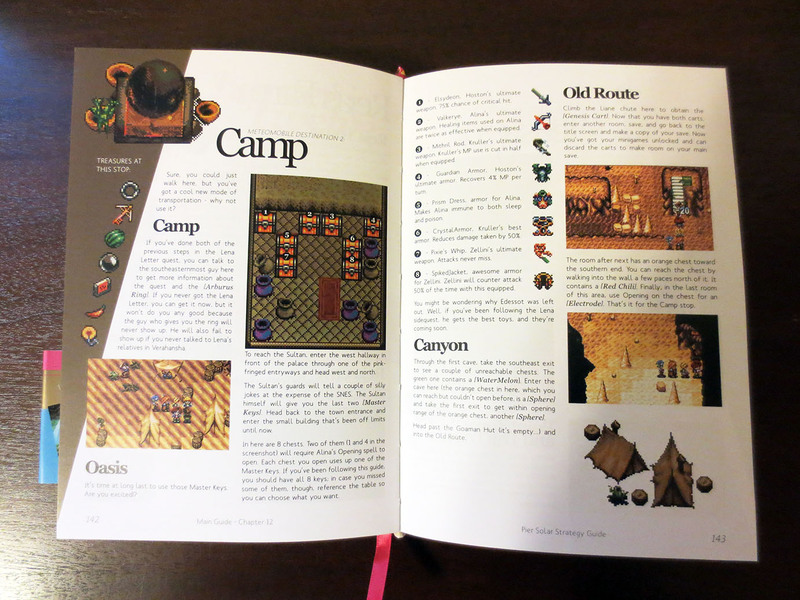 Packed with a professionally pressed Disc, cover insert, poster, stickers and a fat manual. The Jewel case has no room to spare. But what are these other two significantly larger items? Regular Ed. 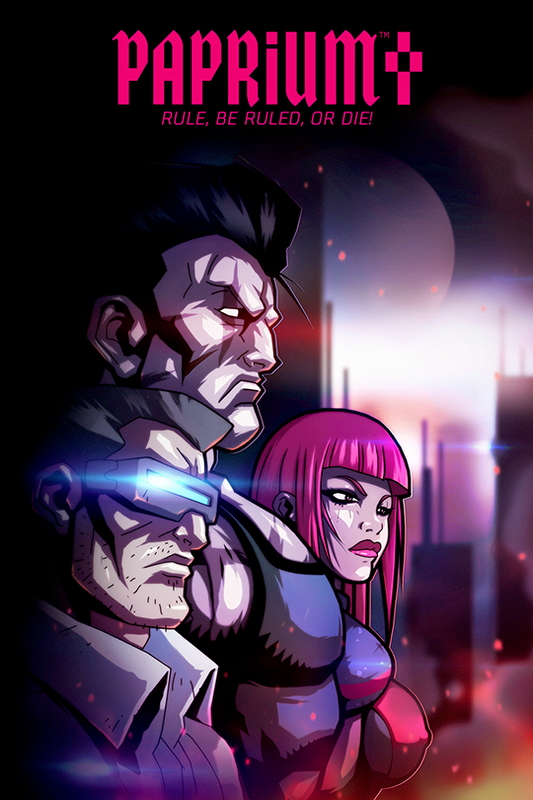 Collectors and Guide. Beneath the light brown Watermelon wrapping paper I found a very thick and sturdy white box with a flip top. In the cardboard box I found the Pier Solar Strategy Guide. 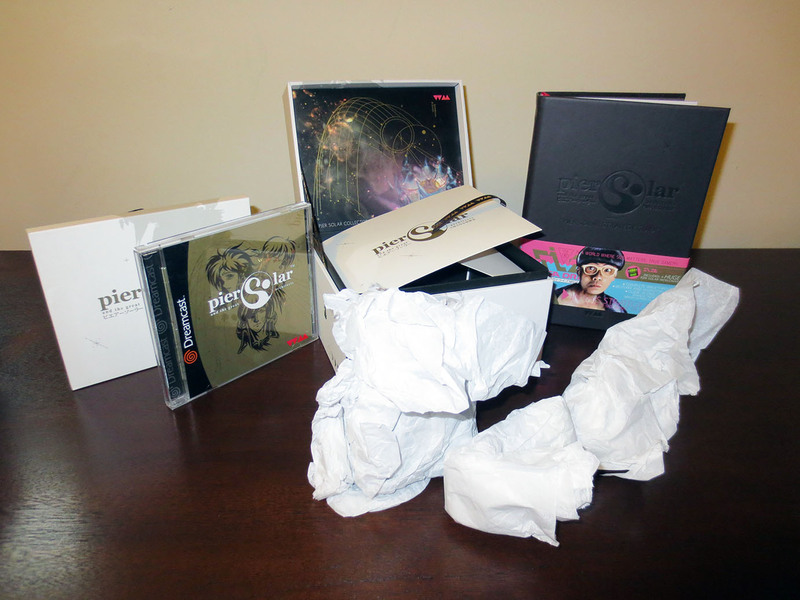 When opening the huge white Collectors Edition box I learned that my edition of Pier Solar HD is print number 595 of 999. 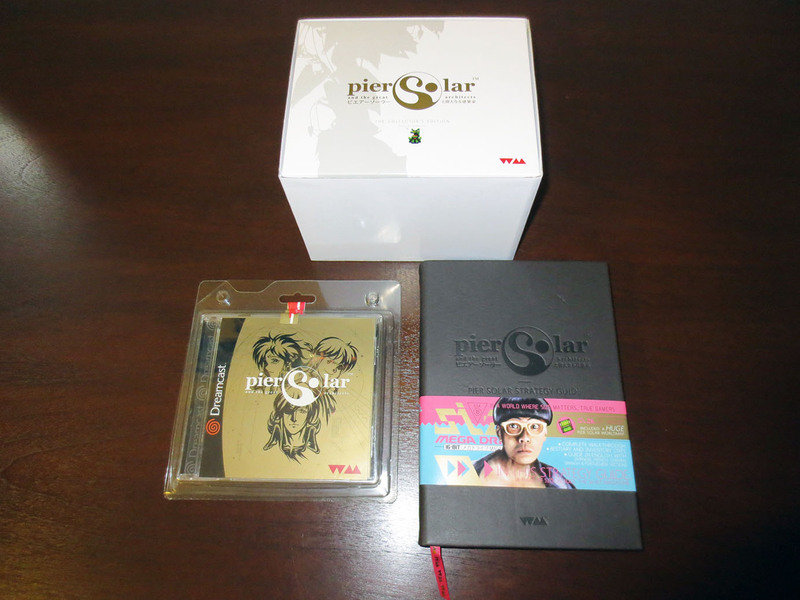 I then found the Collector’s Edition disc of Pier Solar which looks the same as the regular edition you see in plastic in the first two images above. But there was still so much more room in this box. Over the years Watermelon has dropped hints as to what we might find; including mention of figures. But beyond that I had no idea what to expect. 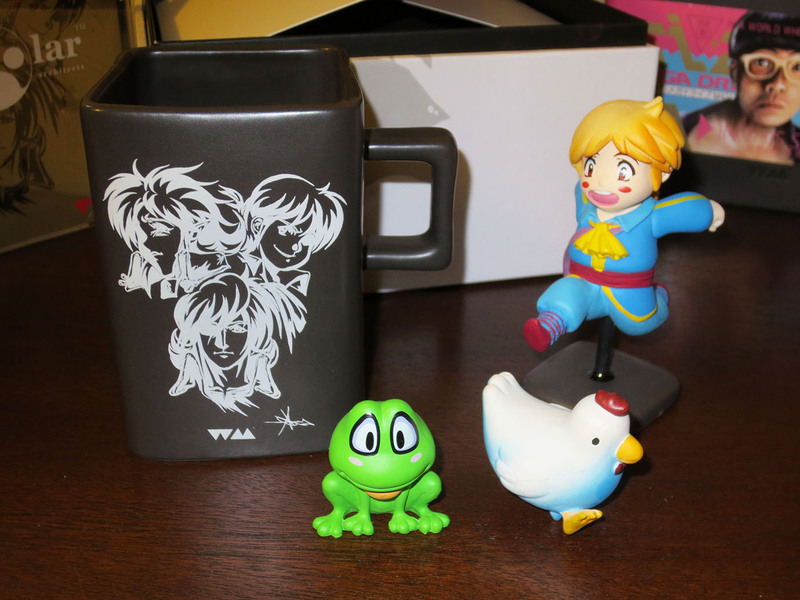 Again, just like the game, the quality of the mug and figures is outstanding. To me the frog and the chicken feel like mascots for Watermelon Team. They are simple yet clever keep-sake’s that really capture the mood of Pier Solar. Of course the inclusion of Edessot one of the main characters is fantastic. 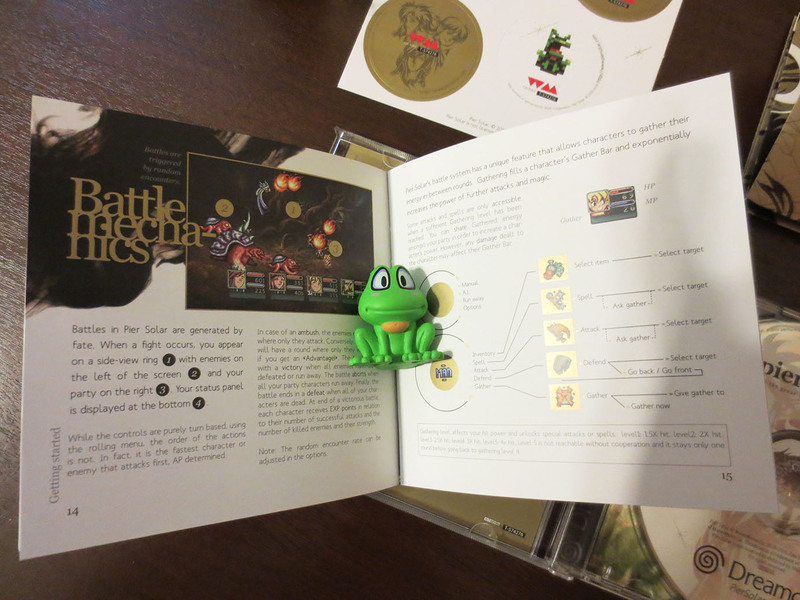 Above you can see the contents of the Jewel case (which doesn’t include the figures). The Disc and the manual really stand out. They look really good. Lots of images and text. Pictures don’t do the Pier Solar Strategy Guide justice. This is a heavy hard cover book weighing in at 446 pages! 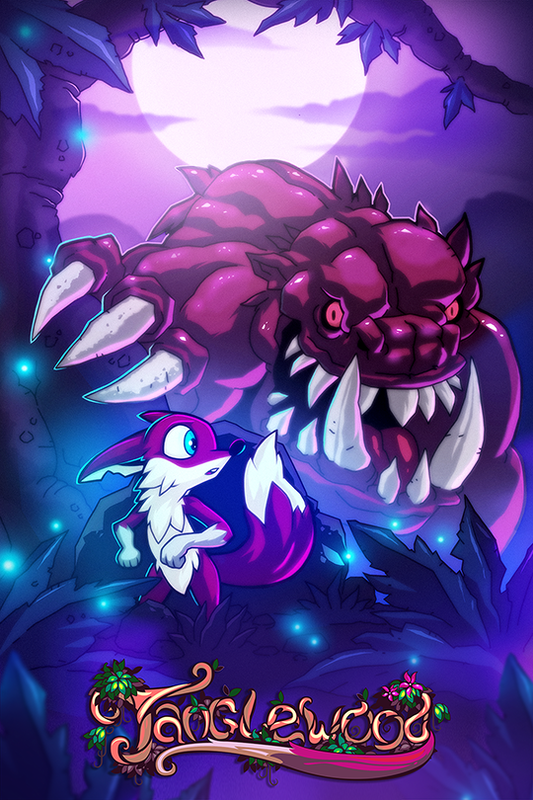 I really could have used this sucker on my first play through of Pier Solar. 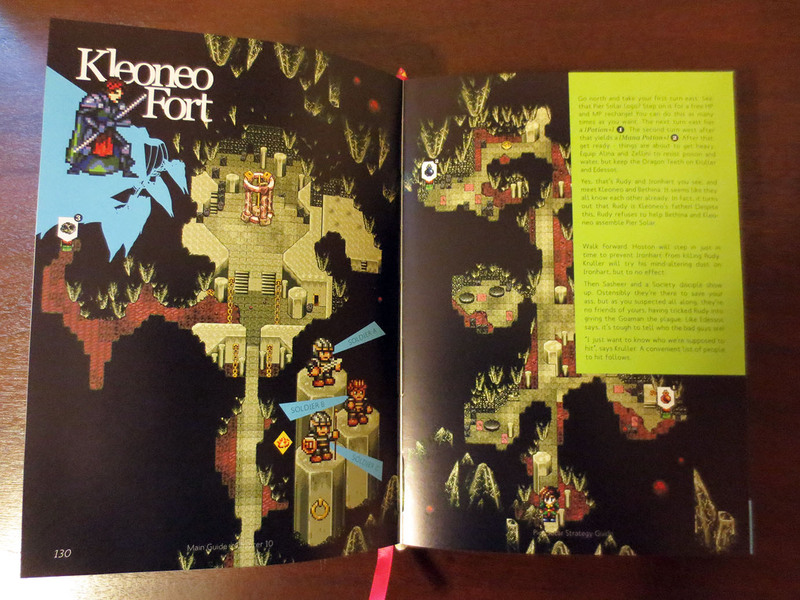 And at the back of the book you’ll find a very nice world map of Pier Solar. 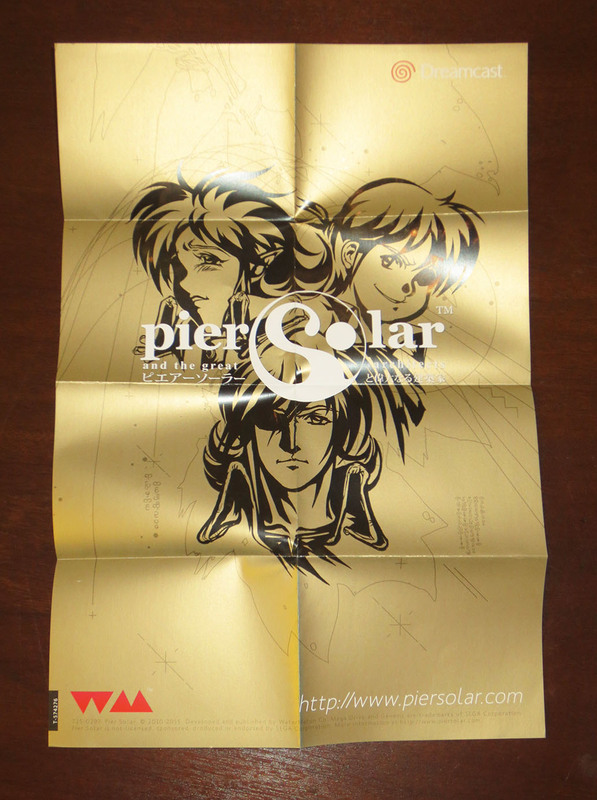 And in the jewel case you’ll find an extremely gold Pier Solar poster. Quality is exploding from this collectors edition which has turned out to be so much more than I expected. 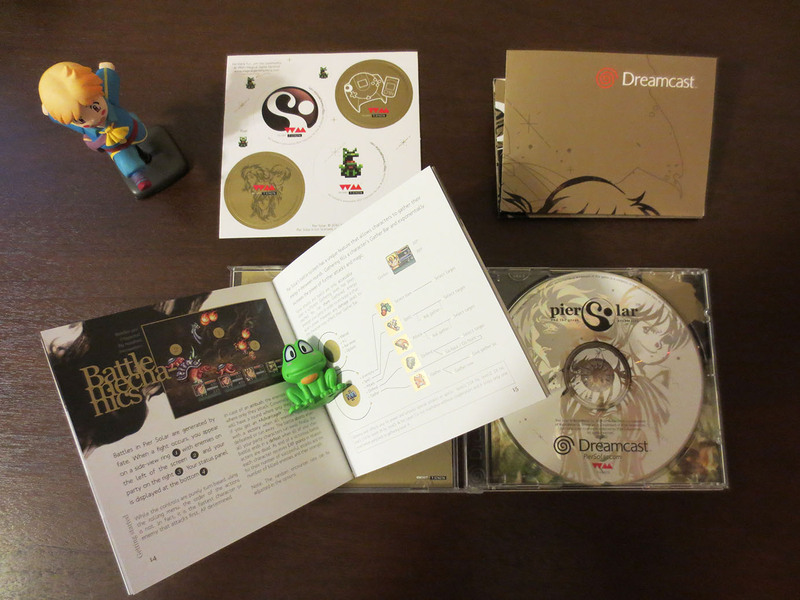 When I pledged my money I wanted a copy of Pier Solar for my Sega Dreamcast and to support a company that is doing amazing things for Retro Video Gaming… in the end I feel like I made out like a bandit to have scored this ‘literal’ treasure box. 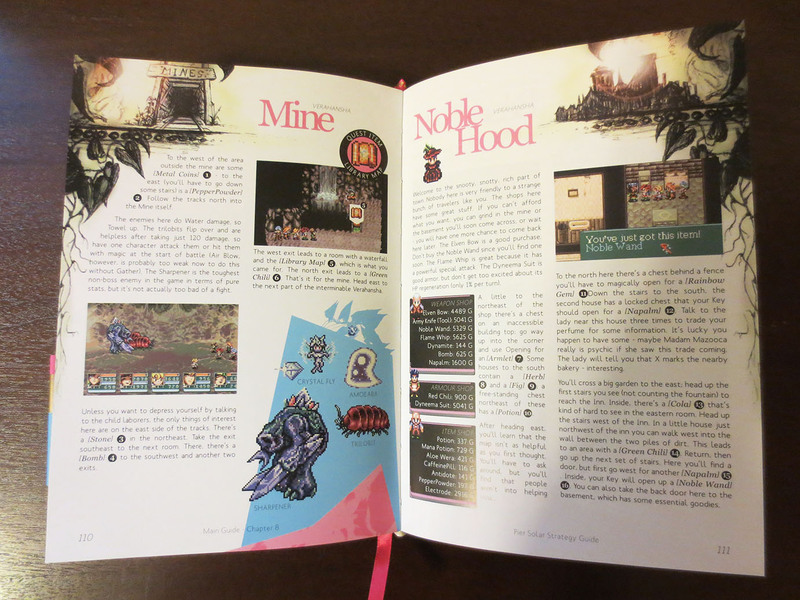 I sold this Collectors Edition with my Limited Edition of Gunlord (also for the Sega Dreamcast). I sold both together for $270 CAD. 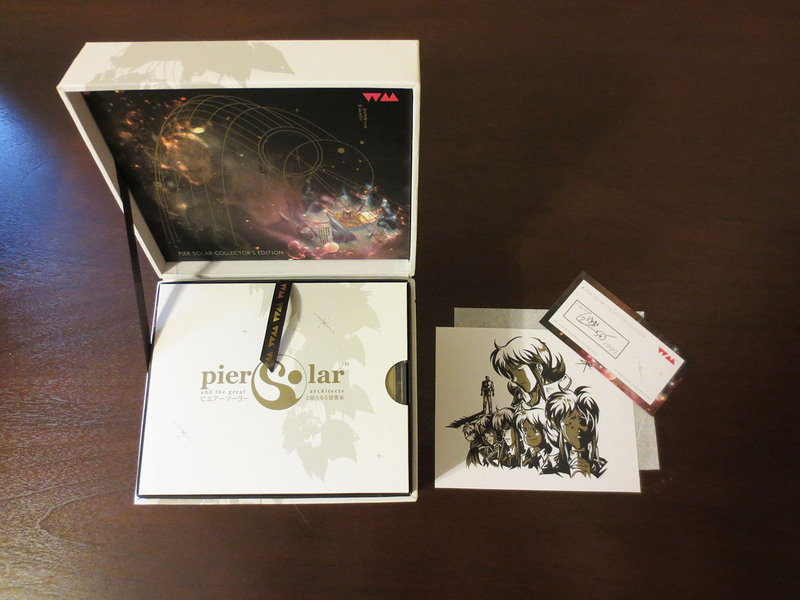 Pier Solar I had originally bought for $125 USD (on par with CAD at the time) and Gunlord LE for about 50 Euro. I certainly would not have sold it at a loss. It’s a great product and I do miss it already. I’ve since replace my Dreamcast Gunlord with the regular jewel case edition.